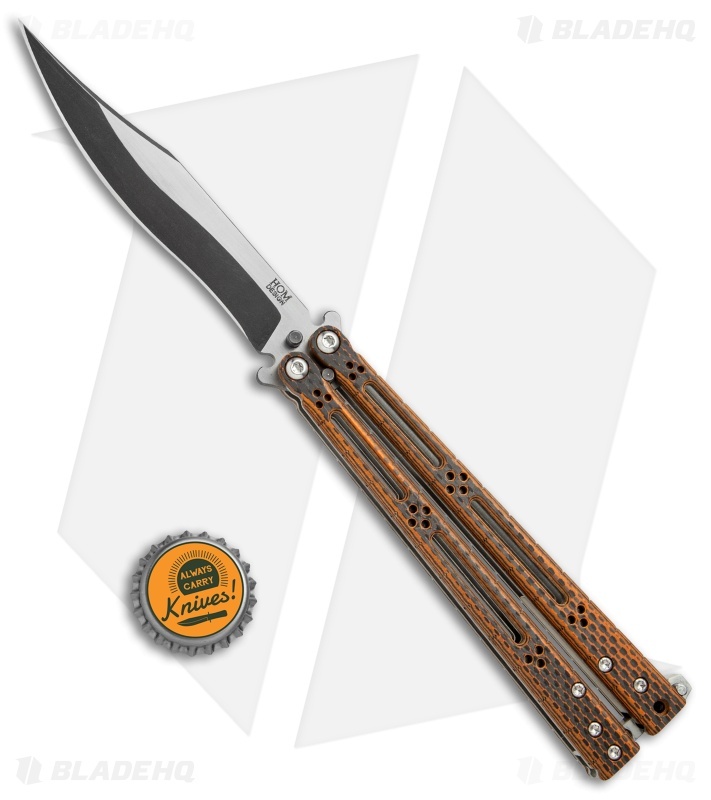 Blade HQ is proud to bring you this exclusive release Basilisk-R from Hom Designs with Orange G-10/Carbon Fiber handles. 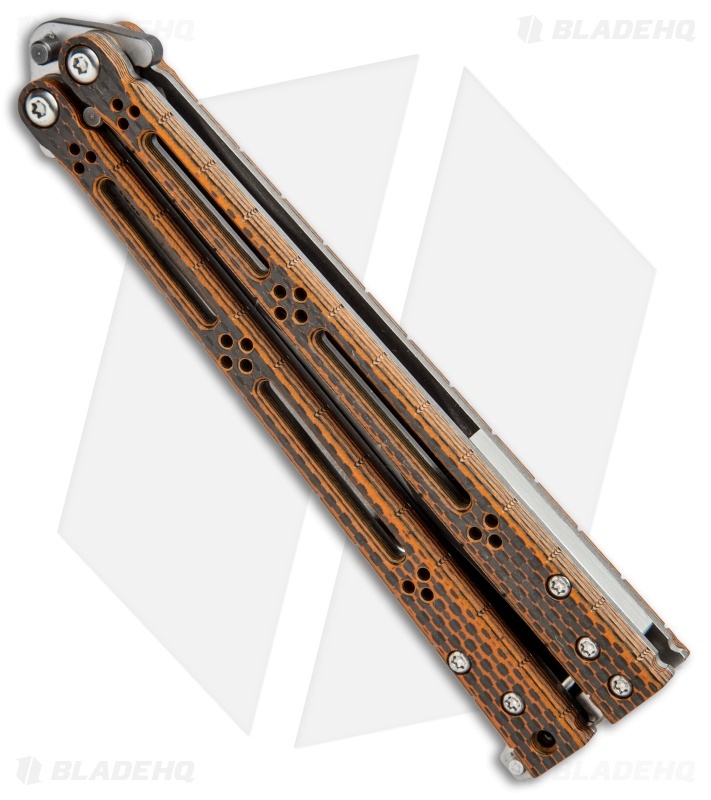 The Basilisk has a long, storied history within the balisong community and it is finally getting a much deserved reboot in the Basilisk-R. 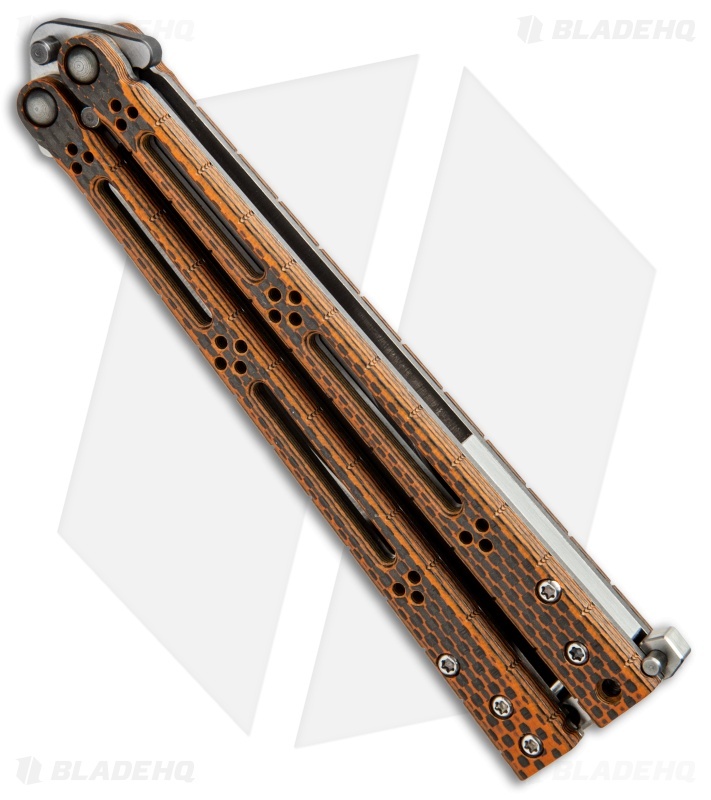 The Basilisk-R features a unique orange carbon fiber handle scales with skeletonized titanium liners. There will be 4 variations of handles numbered 1-4, 1 being the most carbon fiber showing and 4 being the most orange showing. It has a bowie style blade with a recurved edge and a two-tone acidwash finish. Titanium liners and handle jimping add to the appeal of the design. Includes a titanium latch pin and stainless steel spacers. Orange carbon fiber handle scales with skeletonized titanium liners for comfortable, lightweight flipping. 154 CM blade steel provides a strong, corrosion resistant blade edge. Looking for a pocket clip to add to your Hom balisong? We have the Hom Design titanium pocket clip in stock. 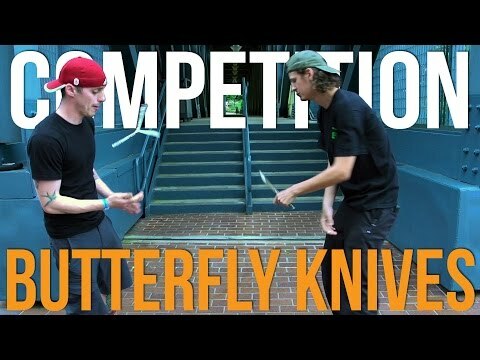 Love this knife. I actually like this better than my BRS Alpha Beast and BM 51 in terms of flipping. Feels great in the hand and is lightweight but also balanced well and an overall fast flipper. I am by no means an expert at flipping but I think it is a great addition to my collection.